For Parker High School senior Diana Martinez, her Washington Seminar research will be conducted with a personal interest. Martinez is among 10 students and three staff who will make the trip to Washington, D.C., the week of April 1. Each young scholar will research selected federal government issues. It is Parker High School’s 47th consecutive year of Washington Seminar field study. 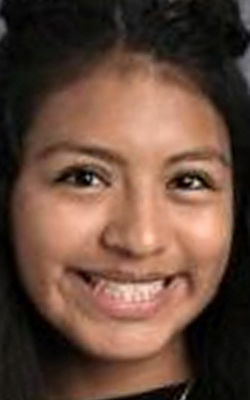 Martinez was born and raised in Janesville by her parents, who are from Mexico and in the United States legally with visas. Her parents came to the United States 20 years ago and settled into life in Janesville, raising Diana and her two younger sisters and one younger brother. In her initial research, Martinez said, she has come across conflicting attitudes in Washington. “Some Democrats say they want to find a way to provide non-citizens—including those undocumented—a path to legal status,” she said. “Some Republicans say their priority is to deport all undocumented residents and in some cases those here legally with visas after a period of time. “I am hoping to find some clarification and a better idea of where our immigration policy will end up from interviews in Washington and briefings we have there,” Martinez said. Martinez has contacted agencies in Washington including the Mexican Embassy, the Office of Immigrant Review in the Department of Justice and the American Immigration Lawyers Association. “I am still working out details of interviews, but I am looking forward to interviews that will help with my research,” she said. Another area of interest, Martinez said, is what if any benefits non-citizens will be entitled to. Martinez said she also wants to explore whether immigration policy decisions could be based on race. The Parker Washington Seminar scholars leave Janesville on Saturday, March 30, and return Friday evening, April 5.